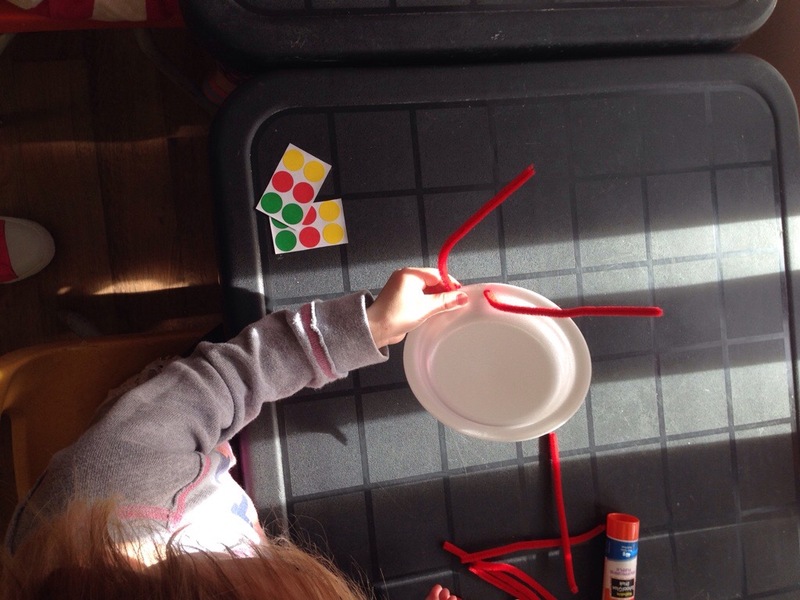 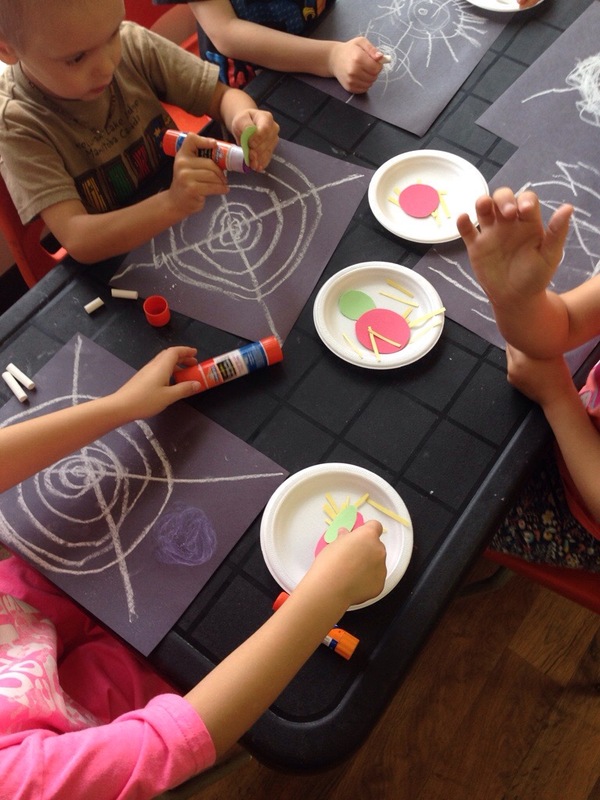 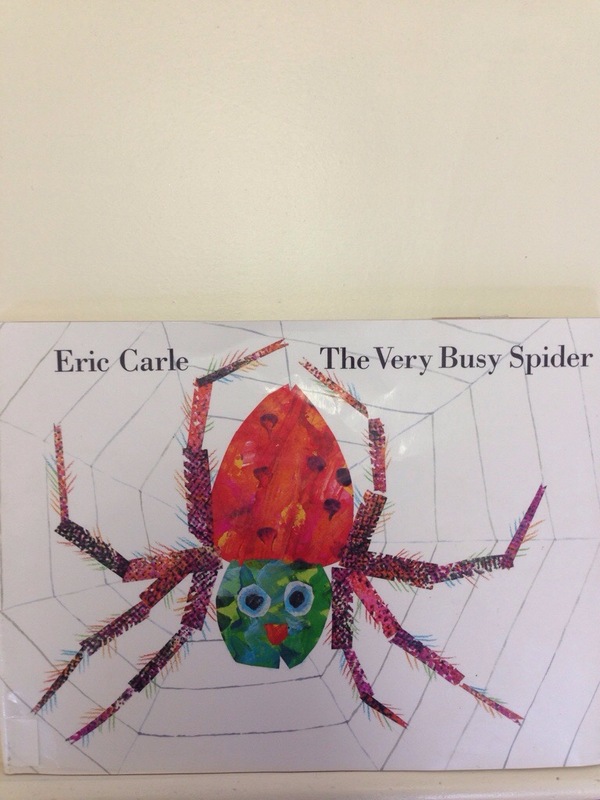 This week was our Eric Carle theme for the month and we did The Very Busy Spider. 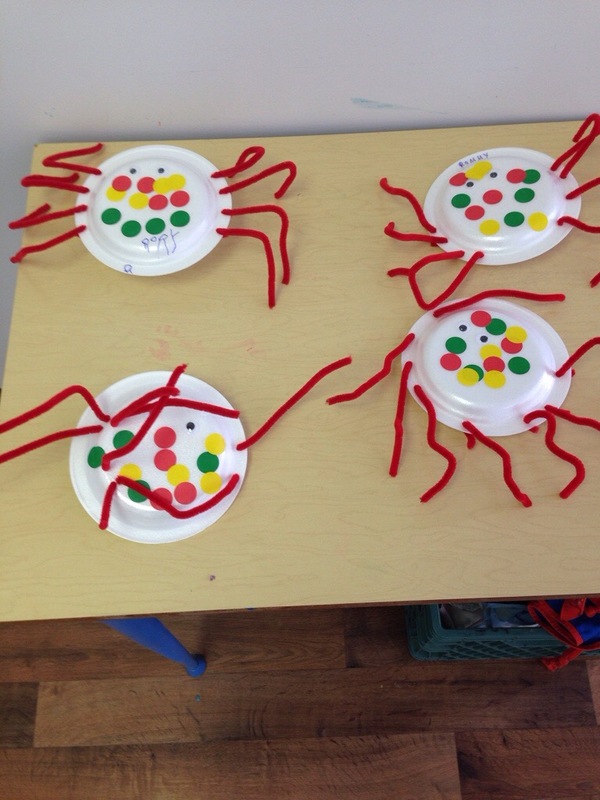 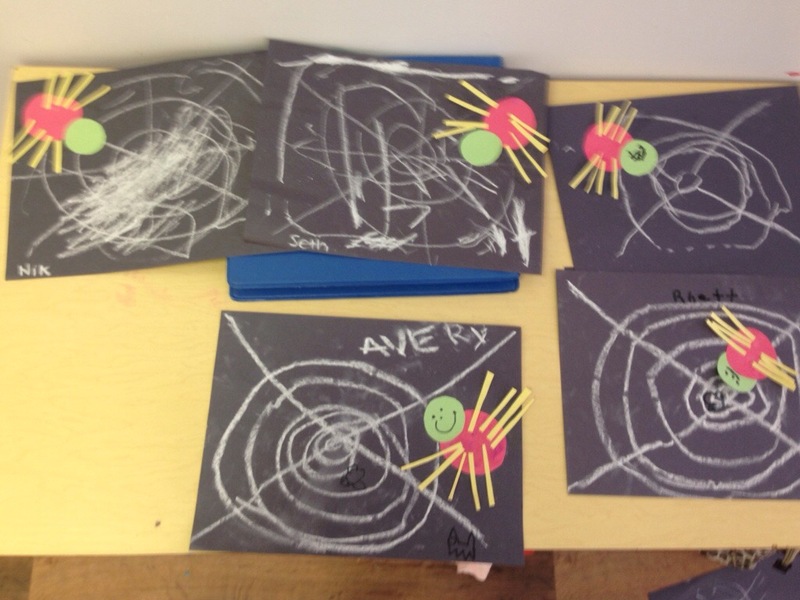 We read the story, made a couple of spider crafts and of course sang “The Itsy Bitsy Spider”. 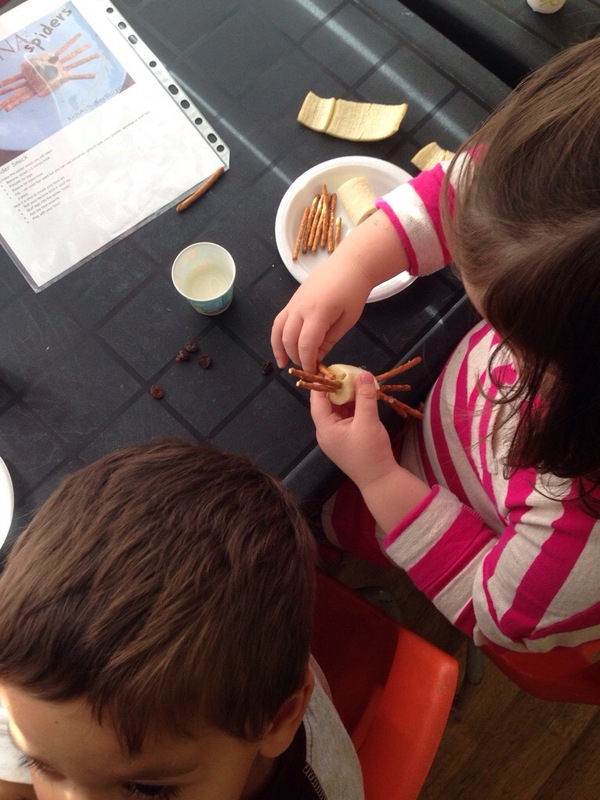 We even made our own snacks to look like spiders using a cut up banana, pretzels and raisins.